Hi Raisa, I would like to speak with you briefly to see if you're a good fit to coach me. Please contact me at your earliest convenience. Hi Kapil, I would like to speak with you briefly to see if you're a good fit to coach me. Please contact me at your earliest convenience. Hi prashant , I would like to speak with you briefly to see if you're a good fit to coach me. Please contact me at your earliest convenience. Hi Ashvin, I would like to speak with you briefly to see if you're a good fit to coach me. Please contact me at your earliest convenience. Hi The Invictus Coach Jeet, I would like to speak with you briefly to see if you're a good fit to coach me. Please contact me at your earliest convenience. Hi prasad, I would like to speak with you briefly to see if you're a good fit to coach me. Please contact me at your earliest convenience. Hi Sonu, I would like to speak with you briefly to see if you're a good fit to coach me. Please contact me at your earliest convenience.  Hi Sudhakar Reddy, I would like to speak with you briefly to see if you're a good fit to coach me. Please contact me at your earliest convenience. Hi Mahrukh, I would like to speak with you briefly to see if you're a good fit to coach me. Please contact me at your earliest convenience. Hi Shyamprasad, I would like to speak with you briefly to see if you're a good fit to coach me. Please contact me at your earliest convenience. Hi Gitanjali, I would like to speak with you briefly to see if you're a good fit to coach me. Please contact me at your earliest convenience. Are you a Mumbai Life Coach?